I was so honored to be nominated for the Liebster Award by the oh-so-sweet Mikayla from A Seersucker State of Mind and Olivia from NC Prepsters. 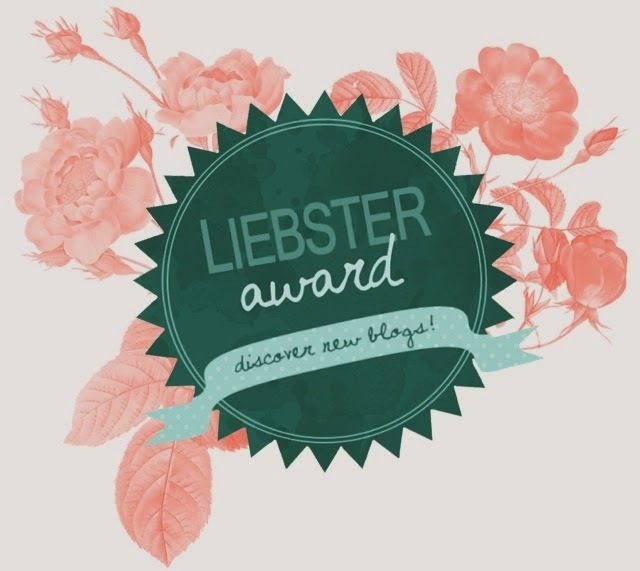 The Liebster Award is designed to recognize new bloggers and bloggers whose blog is still growing. One of my favorite things about blogging is the community, and this award is such a wonderful way to expand the community and recognize new and up and coming bloggers! 1.) Include in your post which blogger nominated you. 2.) Answer the questions asked by the blogger who nominated you. 3.) Nominate eleven other bloggers who have less than 200 followers to help them expand their audience. 4.) Ask eleven questions to the bloggers you nominate. 5.) Notify the bloggers you nominated via social media. Note: Although I was nominated by two bloggers and asked 20 different questions, I only answered the first set of questions I received. 1.) What is your blog's name? Is there a story behind it? My blog's name is Let's Get Preppy. As for how I chose it, there's no specific story. I knew I wanted to encompass my preppy style in my blog, so that definitely helped when trying to think of a name. I asked everyone for input: my mom, grandmother, cousin. I collected all the ideas and made a list. Let's Get Preppy stood out. I knew at that moment that was it! Some bloggers say they don't like their blog names anymore, but I truly love mine! 2.) Who is your fashion inspiration? My fashion inspiration can come from anywhere and everywhere! Whether it's a picture of an outfit on Pinterest or a scroll through my Instagram feed, I always find cute ideas for to what to wear. Three people who definitely inspire me are Abby from Belle of the Ball, Bess from Belles in Bows, and Carly from The College Prepster. If I am ever in need of inspiration, I always scroll through their blogs or Instagram accounts and can find inspiration very quickly. 3.) If you could chose any one store to shop at your entire life, what store would you have to chose? This question is very difficult! My favorite stores are Lilly Pulitzer, Vineyard Vines, and J. Crew. But, if I could only choose one I would say J. Crew. They have a great classic look and such variety and colors that I would feel content shopping there for the rest of my days! 4.) What are your favorite boutiques? Around me, there are not too many boutiques. The ones I love that are relatively close to me are Heads Up Boutique and Country Classics. They both carry most of my favorite brands, which I love since there currently are no Vineyard Vines or Lilly Pulitzer stores close to where I live. When I travel, I love to do a little research beforehand to see if there are any boutiques near where I am headed. I visited Coastal Urge and The Pink Cabana when I was in Myrtle Beach and The Pink Paddock when I was in Albany. They were all so fun to visit and I would definitely go back to each one if/when I travel to these locations again. 5,) How would you describe your style? I would definitely describe my style as preppy, classic, and girly. 6.) What's your favorite candy? I love Kit Kats (especially the mini ones!) and Twix. Anything chocolate is my weakness! 7.) What is your favorite social media site? Another tricky question! I'd have to say Instagram; I love taking and posting pictures, and I have crossed paths with so many people through it. I usually post at least once a day and I love to see what others share too. 8.) What is your favorite movie? Breakfast at TIffany's has always been my favorite, but any Audrey Hepburn film is a close second! 9.) What is your go-to winter outfit? In the winter, you'll almost always find me in layers. My obsession with vests is no secret. On a chilly morning, I'll most likely wear one with a sweater with an oxford layered underneath. Jeans and Bean boots always go well with this combo! 10.) What is your daily arm-candy? My wrist usually sports my KJP pearl bracelet, Kate Spade bow bangle, and sometimes a watch. I like to keep things pretty simple! 11.) What do you love most about blogging! Ah, there are way too many answers to this questions! I absolutely love being able to share my style, aspects of my lifestyle, and using writing as a creative outlet in my rather hectic schedule. I wasn't totally positive what life as a blogger would really be like in the sense that I didn't know the community I was stepping into. I'm amazed at how many people I have crossed paths with and how much fun it is to just blog. Blogging is truly a unique experience, and even though I'm still trying to find my place in the blogging world, I'm enjoying every moment getting there! 2.) In one word, how would you describe your style? 3.) Do you prefer dressing for the summertime or wintertime? Why? 4.) Where do you find fashion inspiration? 5.) What's one item of clothing you wear all year and couldn't live without? 6.) What planner/agenda do you use? 7.) How do you come up with creative posts? 8.) What is your favorite thing to do on a Saturday morning? 9.) Do you prefer sweet or salty types of food? 10.) Do you have a favorite TV show? If so, what is it? 11.) What is your favorite aspect of blogging? Thank you, again, Mikayla and Olivia, for nominating me! Be sure to check out both of their blogs as well as the blogs I nominated!